Boxing Styles to Try: What type of Boxing Suits you? Baffled by the types of boxing sessions available at your local gym? Want to try something new? Read our guide to different boxing styles and see which one you’d like to try. 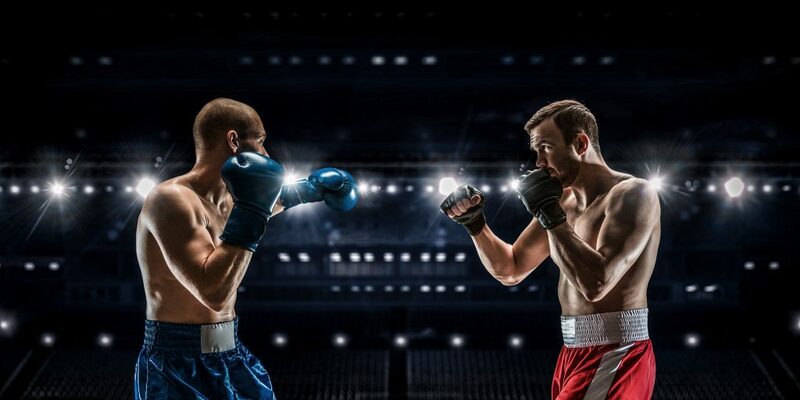 Whether you’re an experienced boxer who wants to try a new style or a complete beginner wondering which boxing style would be best for you, our handy guide to boxing styles gives you all the info you need. Boxing has been around for thousands of years and was an official Olympic event in 688 B.C. It’s a high intensity combat sport which strengthens the muscles and gives the cardiovascular system a workout. Traditional boxing includes everything from learning the moves and punches during training sessions, sparring with an opponent, right up to getting into the boxing ring at a tournament. During a boxing fight or tournament, the boxer is not allowed to hug or wrestle his opponent. Throughout the boxing match, there must be a referee in the ring with the two boxers. Boxers are classified depending on their weight, so they can only fight someone in their weight category. Boxers are only allowed to punch each other above the waist and must not kick, trip, headbutt or push their opponent. If a boxer is knocked down during the match, he must get up unassisted. Should the boxer stay down for 10 seconds without getting up (or 20 seconds if he is knocked outside of the ring), the referee will count down the seconds aloud. The other boxer must retreat to a neutral position, in the farthest corner, whilst the referee makes the count. If the knocked down boxer does not get up within this time, it’s a knockout and the fight ends. A professional boxing match usually has 12 rounds which are 3 minutes long. If there is no knockout, the winner is decided using the scoring cards at the end of the match. When you are getting started with boxing, there is no pressure to take part in a boxing match. Boxing training is great for your fitness levels and punching a punch bag gives you an awesome workout. Once you’ve learned different techniques and improved your fitness levels, then you can decide if you’re ready to get into the ring. WBCME stocks boxing gloves, clothes and equipment to get you started. MMA stands for mixed martial arts and is a combat sport which differs from traditional boxing. The two competitors in MMA must attempt to achieve dominance over one another. The fighters use several techniques to try to achieve this. Striking, finishing holds, and control are the main tactics used within an MMA fight. This rule enables them to use a combination of different martial arts moves. For example, fighters can use punches, kicks, throws, joint-locks, chokes and takedowns during the match. Modern MMA fighters usually train in a mixture of three boxing styles: Amateur Wrestling (focusing on clinches and takedowns), Submission Wrestling (focusing on positioning on the ground and submissions), and Kickboxing (focusing on striking). So there’s definitely a lot to learn! In the same way as traditional boxing, the winner is usually announced after a knockout. If there are no knockouts, submissions or disqualifications and the match goes all the way to the end, the winner will be decided by three judges who use a unique point system. MMA fighting is a great discipline sport and training can improve your confidence, self-defence techniques and fitness levels. Learning mixed martial arts takes a lot of determination but mastering it will make you feel like a champion. Thai boxing is a test of strength, endurance and reflexes. 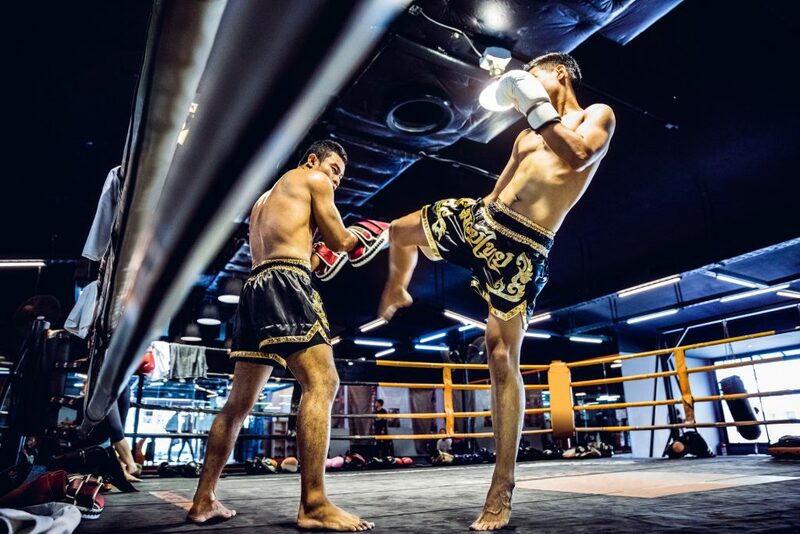 Originating in Thailand, this combat sport mainly involves throwing punches at your opponent, with the occasional kick thrown in. A Thai boxing match is divided into intervals of 1 to 3 minutes. The use of elbows and knees is not allowed in traditional Thai boxing, it purely focuses on punches and kicks. Unlike in traditional boxing and kickboxing where trainers or boxing boots are worn, Thai boxers train and compete with bare feet. Thai boxing is great for developing your coordination and reflexes as well as giving you a great cardio workout. Muay Thai is similar to Thai boxing but involves a wider range of techniques. Known as the art of eight limbs, Muay Thai allows the competitors to use their fists, knees, shins, and elbows. Competitors usually combat on their opponent’s shin. Muay Thai is a combat sport that allows stand-up striking as well as clinching techniques, and is a physical and mental discipline. Due to the variation of techniques and movements used, some people liken Muay Thai to kickboxing, so if you enjoy one of the boxing styles, you will probably enjoy learning the other one too. To summarise the difference between these the two Thai boxing styles, using elbows and knees is not allowed in traditional Thai boxing, but it is allowed in the Muay Thai style of boxing. Kickboxing and Thai boxing use similar boxing styles and techniques. However, in kickboxing you cannot use knees and elbows. Kickboxing will increase your strength, improve your coordination and provide you with an incredible cardio workout. This energetic boxing style has been steadily increasing in popularity in recent years. Kickboxing incorporates both boxing and karate techniques, but arguably offers a better full body workout than traditional boxing. In kickboxing, you will be ducking shots, giving your quads, glutes and hamstrings a fantastic workout. If you’re not used to working your leg muscles, you’ll certainly feel it after your first kickboxing class. You also spend most of the class giving your abs a good workout, without really noticing, by alternating between punches and kicks. To become a good kickboxer, there are quite a few different techniques to learn. Firstly, you need to learn how to establish the right distance between you and your partner. If you’re not close enough, you won’t generate enough power when you throw a technique. However, if you’re too close and try to kick your opponent, they could jam your leg. Defensive skills are also a must. Even if you’re throwing spectacular punches and kicks, you won’t get far if you can’t block your opponent’s moves. You can learn defensive techniques such as blocking, dodging, side stepping and many more. Feinting is another important kickboxing skill. No, we don’t mean just keeling over when it all gets a bit too much! Feinting is all about deception and keeping your opponent guessing. For a feint to be effective, it has to be convincing. Therefore it has to be powerful or your opponent won’t fall for it. It does take a lot of practice to get good at this but it’s fun learning, almost like becoming an expert at playing chess! You have to think strategically. The first punch is used to throw them off. The second punch straight after is unexpected because they are still focused on the first area where you jabbed them. Kickboxing is all about timing and being able to read your opponent. It’s a skilled sport which can feel very rewarding as you improve your techniques. Not to mention a great workout for the whole body. Whichever boxing style you choose to have a go at, we’ve got all the boxing gear you need. From boxing gloves and punch bags to gym bags and boxing robes, our official WBC and Cleto Reyes boxing ranges have everything you need to kick-start your boxing training. The WBC is a boxing and Muay Thai boxing governing body, so you can find a lot more info over on the World Boxing Council website.